This is probably the easiest of the tests, and it doesn’t require any equipment. 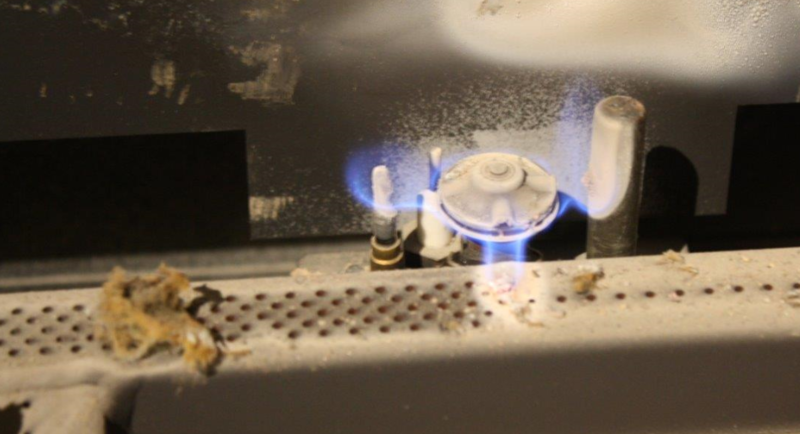 You just need to visually inspect your pilot light. It should be blue, without much yellow in it at all. 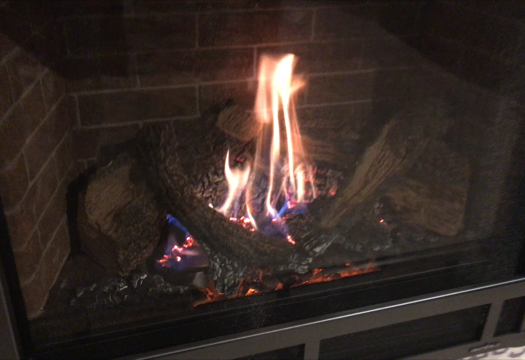 Notice how the flame is not wrapping around the sensor like the previous video. It is barely touching it. 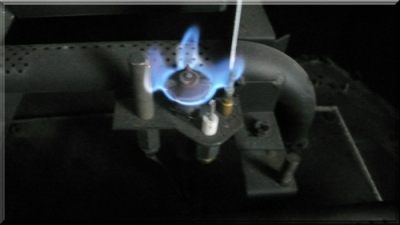 A healthy pilot flame will be much like a blue “blow torch” flame. 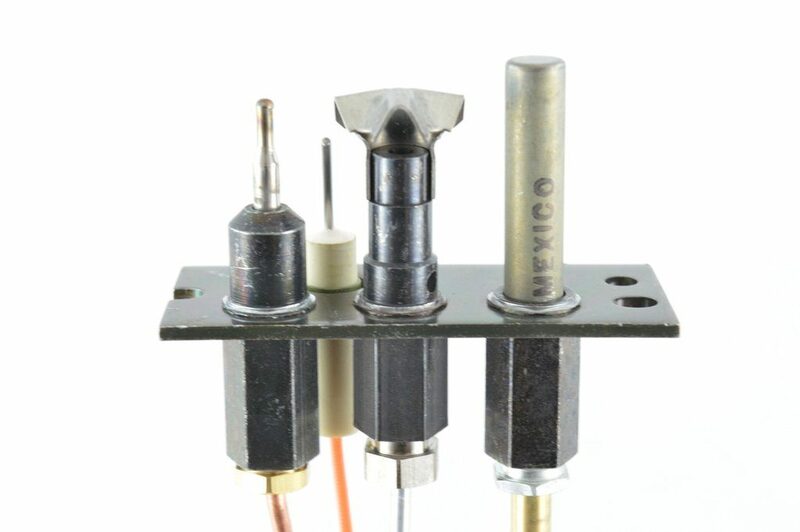 It will shoot sideways and be directly on your thermocouple and thermopile sensors. An unhealthy yellow pilot flame is more like a “candle”. It will shoot straight up in the air and will not engulf your sensors. 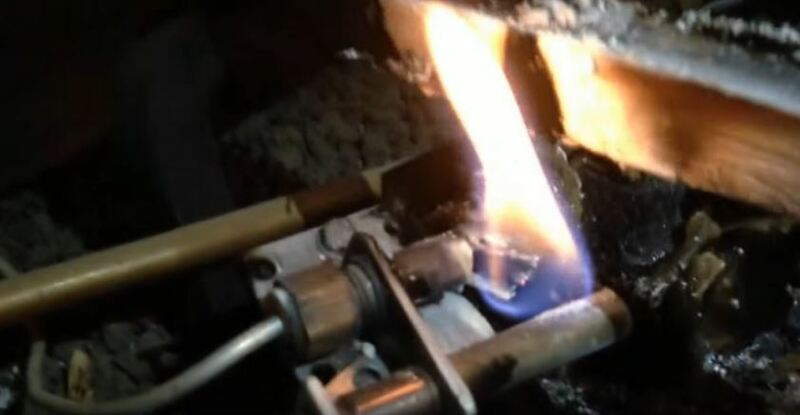 If the flame is not healthy, your thermopile or thermocouple could be perfectly fine, but they will not have enough direct heat to signal to the main control valve to turn the fireplace on. If you determine that you have a bad pilot flame, you can either clean out your pilot hood and orifice with a wire brush (cheap but not long term) or replace the pilot orifice and hood (this is called the pilot assembly) Replacing the pilot assembly takes a little more time but will last ten times longer. 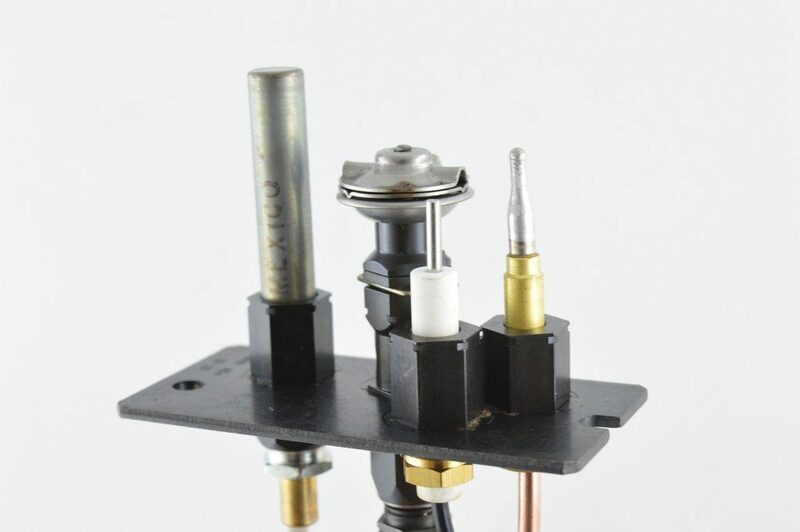 Or send a picture of the pilot assembly here and someone will help you find what you need. 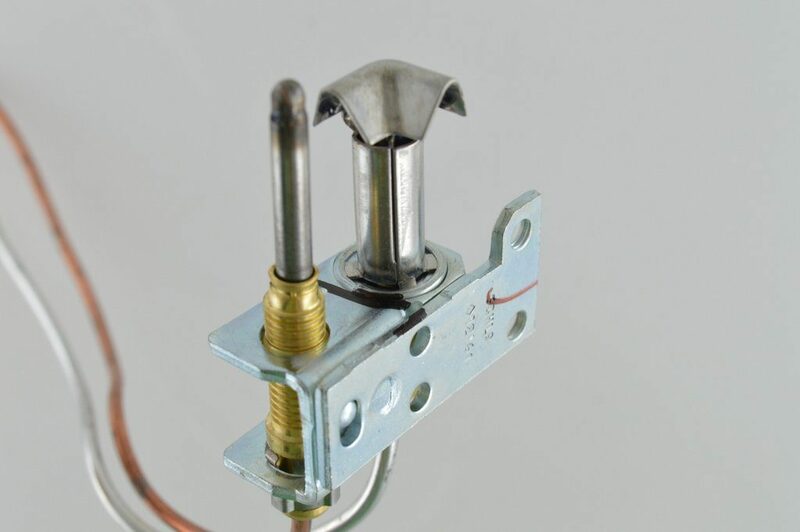 You can also purchase a pilot assembly specific to your fireplace at your local fireplace dealer. Its recommended to replace the pilot assembly and pilot tube. You can try taking everything apart and cleaning everything up with a wire brush, but this is more of a temporary solution. Replacing the pilot assembly should take care of your issue. The tutorials on this website are for educational purposes only are not meant to be a substitute for qualified professional repair. 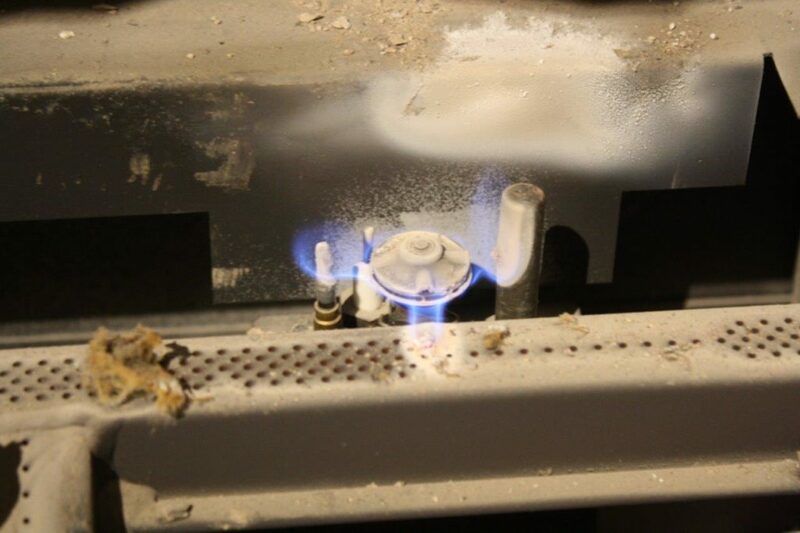 If at any time you feel uncomfortable or unsafe attempting your own fireplace repair, please visit our Find Certified Technicians page at the top of the website to help you find a certified and qualified gas fireplace repair technician.